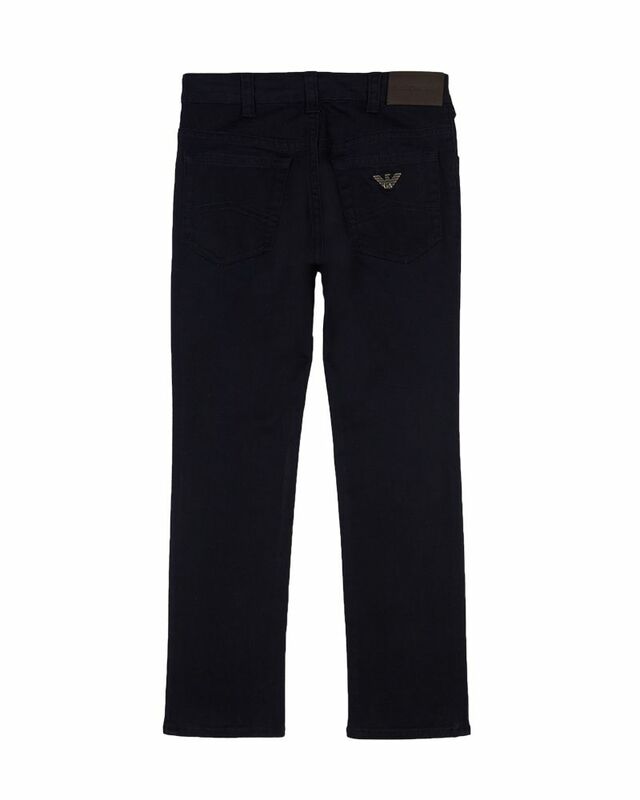 Emporio Armani soft cotton navy five pocket pants with logo detailing on back pocket. Slim fit. 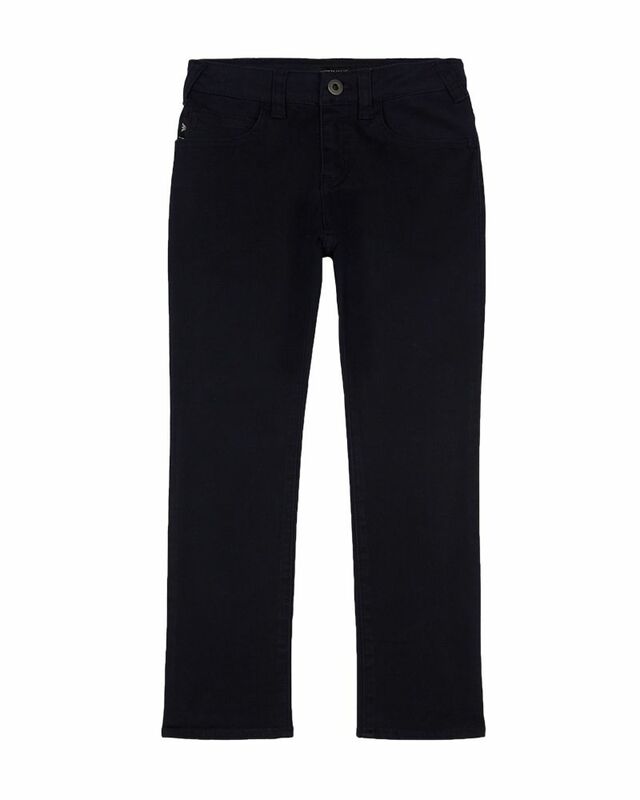 98% Cotton, 2% Elastane. Imported.